Bizindigo offers following audit & assurance services: Internal Audit, Tax Audit, Management Audit, Business Process Audit, IT & Systems Audit, Stock Audit, Internal Control Design & Review, Corporate Governance and much more. BizIndiGo has a large network of auditors, qualified professional & experts providing comprehensive audit and assurance services designed to enhance the effectiveness of internal controls of the enterprise. 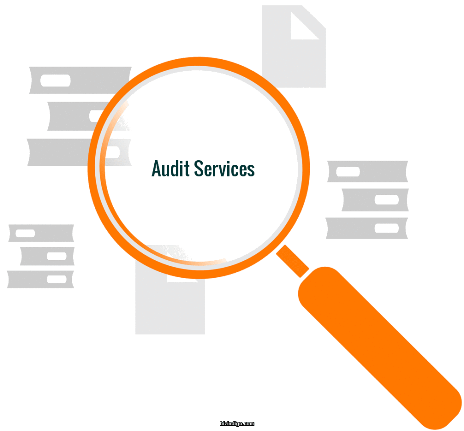 BizIndiGo offers IT audit, Security audit services. Qualified IT auditors & team, follows a strict audit & reporting mechanism. Each minute aspect is evaluated and findings are reported in a transparent manner. BizIndiGo offers Tax Audit services. Qualified CAs & team, follows a strict audit & reporting mechanism. Each minute aspect is evaluated and findings are reported in a transparent manner.